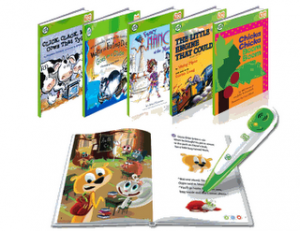 Beginning Sunday, November 21, 2010, Target will have LeapFrog Tag Books Buy One, Get One Free. Select titles will be marked at just $9.99, so you should be able to get two books for $9.99. Print 2 - $5/1 manufacturer’s coupons. You have to watch the video first and then enter the sweepstakes to be able to print the coupons. Our Target will let us use two coupons in one order which will make two of these books FREE! You should probably go ahead and print your coupons now since they may not be available by Sunday when the sale starts. While you are at Target, don’t forget to print your $10/3 Women’s Sleepwear coupon. Dozens of people are getting items for completely free with it. And many more are scoring exceptional deals! Check the clearance and see if you can get as great a deal as some others are getting.